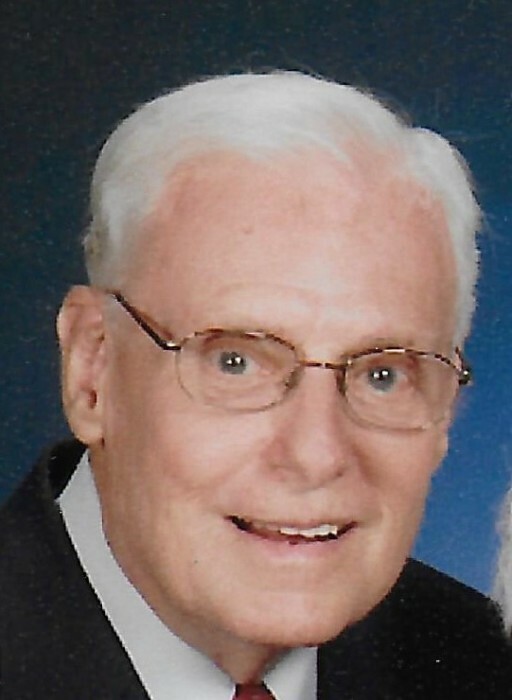 Charles F. Wolfe, 90 years, of Bryan, passed away Sunday, November 11, 2018 at Anna's House in Hillside Country Living, where he had been a resident. Charles was born August 14, 1928 in Bryan, the son of the late Fred L. and Margaret (Bunting) Wolfe. He was a 1947 graduate of Bryan High School. Charles served our country in the United States Army during the Korean Conflict. He married Billie D. Langley on March 1, 1952 in Bryan, and she survives. Charles was the Parts Manager for the former Kerr Auto Sales in Bryan. He was a member of Wesley United Methodist Church and the Bryan American Legion Post 284 as well as the Northwest Neighborhood Association. Charles served on the Bryan City Tree Commission and the Bryan Planning and Zoning Commission. Charles and Billie enjoyed traveling. Billie and Charlie were known for walking all over the city of Bryan on their daily walks. He treasured the time he could spend with his family, especially his grandchildren and great-grandchildren. Surviving is his wife, Billie of Bryan; two daughters, Christine (Neil) Miller of Arlington, Virginia and Barbara (Bob) Teegarden of Bryan; six grandchildren, nine great-grandchildren and three great-great-grandchildren. He was preceded in death by his parents and one sister, Phyllis Wolfe. Visitation for Charles F. Wolfe will be held on Wednesday, November 14, 2018 from 2:00 - 8:00 p.m. in the Oberlin-Turnbull Funeral Home Greenisen Chapel, 225 East High Street, Bryan, where Funeral Services for Charles will be held at 11:00 a.m. Thursday, November 15, 2018 in the funeral home with Rev. Peter Paige officiating. Interment will follow in Fountain Grove Cemetery, Bryan. The family has requested that those planning an expression of sympathy are asked to consider memorial contributions be made to Bryan Tree Commission C/O: Bryan Parks Department, P.O. Box 190, Bryan, Ohio 43506 or to Wesley United Methodist Church, 903 Center Street, Bryan, Ohio 43506.